Tourmaline is available in many colors — and many stones are bi-color or tri-color, containing multiple hues. It is often referred to as “the gemstone of the rainbow,” and signifies love and friendship. Opal means “precious jewel.” Like the tourmaline, it’s often multi-hued, and it signifies faithfulness and confidence. The marigold brings a message of undying love. The other October bloom is the cosmo, which symbolizes peace and serenity. October’s birth flower is the pumpkin bloom. Just kidding—it’s actually the marigold. Marigolds are often given as a sign of warm or fierce, undying love, or as a way of saying that you’re content with being with the recipient. The other October flower is cosmo, a symbol of order, peace, and serenity. 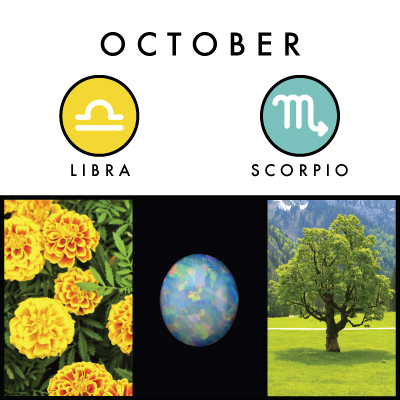 The Opal is the birthstone of October. The name, “Opal”, means “to see a change in color” and might make one drift off to daydreaming and envision a rainbow following a summer rain. Ancient monarchs treasured the opal mainly for its protective powers. Thus, they were set in into their crowns and worn in necklaces. The opal dates back to prehistoric times and according to Arabic legend, fell from heaven in a flash of lightening. The Latin word, “opalus”, means precious jewel, and that it is. It contains up to thirty percent water and must be protected from harsh chemicals and heat. If not, they can cause the opal to dry out and may lead to a loss in its luster and cracking. It can also be broken very easily and must be guarded from any knocks or blows. The opal is made up of a non-crystallized silica, that can be found near the earth’s surface, typically in areas where geothermal springs once existed. Opal is mainly found in Australia, where ninety-five percent of the world’s black and white opals are mined. They are also found in Hungary, Brazil, Mexico, the United States and Canada. For centuries, before time was even recorded, the discovery of precious gems within the Earth’s crust inspired many. With each discovery, humans believed that there was a cosmic connection and energy emitted from these gemstones. As time went on, they became symbolic of certain times within the year. The calendar we are all familiar with today, the Gregorian Calendar or Western Calendar has a stone symbolic for each month of the year. For those offering these gemstones as gifts to their loved ones, they have been believed to possess magical or healing powers, or sometimes seen as a gift offering protection. Each of these precious stones are unique not only in their compositions, but their energies and strengthening powers. The gift of an Opal symbolizes confidence and faithfulness and can be used to ward off nightmares. They have even been ground and ingested for healing properties to treat issues relating to the eyes. It has also been gifted to those going into battle for protection and utilized to ease child birth. It symbolizes hope, loyalty, happiness, innocence and purity. It should be stated that the most common of all opals, recognized by its pearly iridescent hues of aqua and baby blues and pinks, should be given as a gift to only those born in October, otherwise they can be a token of bad luck. However, lucky for other lovers of the October birthstone opal, the opal ranges in many colors and shades from all over the world. Another form of opal known as fire opal is transparent of orange and red colors with flicks of yellow, but the most valuable are that of the black or gem opals, which showcase one or more colors against a background of black. The Candula. It is usually associated with grief, sorrow and despair. The Rowan, Maple and Walnut. The Rowan tree will guard against enchantment, and was also used in the art of metal divining. The berries of the Rowan tree feeds birds during long winters and have a pentagram shape. This shape is an ancient symbol of protection. Due to the berries shape, it is no surprise that it has also been referred to as the “Witch Tree”. Posted on May 23, 2015 by ladyoftheabyssPosted in Articles, Crystals/GemsTagged Australia, Brazil, Charlton Heston, Flower, Kate Winslet, LIBRA, Magic, Magick, Mexico, Nathaniel Hawthorne, October Birth, October Birth Symbols, October Birthstone, Pagan, Scorpio, Tree, Wicca, Witch, Witchcraft. Mums the word today, as the chrysanthemum is the floral most associated with October. In Eastern philosophy the mum has long been favored, as they are said to convey so much strong yang energy that they can instantly attract fortune and luck. They also symbolize a long life of ease and durability, so anything that you want to last — be it love, success, prosperity or harmony — can be auspiciously augmented by displaying these flowers. When positioned in the ‘Fame’ area of the home or office in October, yellow chrysanthemum will bring honor, opportunity, recognition and rewards. Posted on October 13, 2013 by ladyoftheabyssPosted in Articles, Daily PostsTagged Asteraceae, Astrology, Astrology.com, Chrysanthemum, Eastern philosophy, fengshui, Flower, mums the word. Altar: Drape with cloth in the day’s colors, and set with flowers, a crystal goblet of white wine, incense, feathers from any bird, a set of scales, a sword, and a pile of law books. Offerings: Flowers. Anything beautiful or artistic. Beautify an area. Do something that is fair and just. Offer yourself for mediation for others. Daily Meal: Sweet things, such as pastry, cakes, fruit, and other sweet desserts. The meals should be arranged aesthetically attractively. To bring the two together. To go back and forth in the dance of I and Thou. May we all go forth in equality. Posted on September 23, 2013 by ladyoftheabyssPosted in Articles, Daily PostsTagged Astrological sign, Dye, Flower, LIBRA, Shopping, Twelve Colonies, Weighing scale, Zodiac. 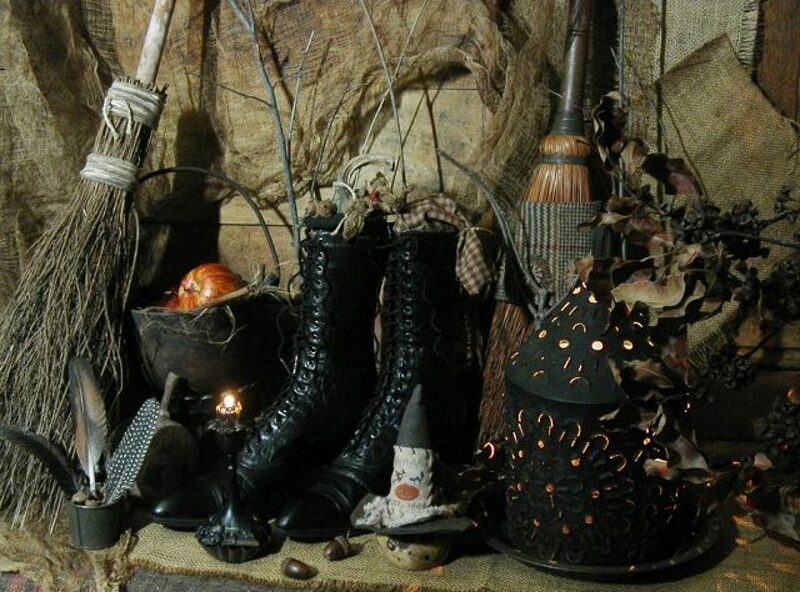 Altar: Upon a cloth of tan or dun set a bundle of dried gorse twigs and leaves, a single tan candle, a pot of soil, seeds, a bowl of water, and a bell. Offerings: . Make an effort to subdue a troublesome habit. Hail, Green Man of the Spring! And has a right to its territory. With no thought for smaller lives. All who are disrespectful of her nest. On this your eve of awakening. That come not into histories. Posted on February 14, 2013 by ladyoftheabyssPosted in Articles, Daily PostsTagged Biology, Earth, Flora and Fauna, Flower, Gorse, Plant, Plantae, Soil. Before dawn, take a branch from any tree. Thank the tree for its gift and leave a coin or semi-precious stone at its base in payment. Next, obtain several brightly colored flowers on long stalks. Tie these flowers to the branch to fashion a sort of broom, then sweep the floor in every room of the house, visualizing the flowers of the broom absorbing negativity and “evil” as you work. Then, still before sunrise, leave the broom at the crossroads. Traditionally this ritual is repeated at the first of each month. Posted on January 10, 2013 by ladyoftheabyssPosted in Cleansing Spells, Happy Home Spells, Protection SpellsTagged Agriculture and Forestry, Biology, Broom, Business, Business and Economy, Flora and Fauna, Flower, Shopping. 1 piece of paper, pictures or drawings to represent your wish. paper write down what your wish or dream is. Decorate it with the pictures of your wish. Make sure to put your intention behind what you want by making it as real as possible. Place the paper in the pod and bury it in a young pot plant or a new tree. Now let the Gods and Goddesses take over. Posted on December 25, 2012 by ladyoftheabyssPosted in Wishing SpellsTagged Agriculture and Forestry, Business, Flower, Fruit, Houseplant, Paper, Plant, Seed. 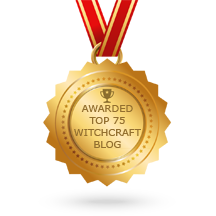 Posted on December 25, 2012 by ladyoftheabyssPosted in Dream SpellsTagged Aromatherapy, Business, Chamomile, Cheesecloth, Consumer Goods and Services, Flower, Health, Incense. —Description—The true or Common Chamomile (Anthemis nobilis) is a low-growing plant, creeping or trailing, its tufts of leaves and flowers a foot high. The root is perennial, jointed and fibrous, the stems, hairy and freely branching, are covered with leaves which are divided into thread-like segments, the fineness of which gives the whole plant a feathery appearance. The blooms appear in the later days of summer, from the end of July to September, and are borne solitary on long, erect stalks, drooping when in bud. With their outer fringe of white ray-florets and yellow centres, they are remarkably like the daisy. There are some eighteen white rays arranged round a conical centre, botanically known as the receptacle, on which the yellow, tubular florets are placed- the centre of the daisy is, however, considerably flatter than that of the Chamomile. All the Chamomiles have a tiny, chaffy scale between each two florets, which is very minute and has to be carefully looked for but which all the same is a vital characteristic of the genus Anthemis. The distinction between A. nobilis and other species of Anthemis is the shape of these scales, which in A. nobilis are short and blunt. The fruit is small and dry, and as it forms, the hill of the receptacle gets more and more conical. The whole plant is downy and greyishgreen in colour. It prefers dry commons and sandy soil, and is found wild in Cornwall, Surrey, and many other parts of England. Small flies are the chief insect-visitors to the flowers. —History—The fresh plant is strongly and agreeably aromatic, with a distinct scent of apples – a characteristic noted by the Greeks, on account of which they named it ‘ground-apple’ – kamai (on the ground) and melon (an apple) – the origin of the name Chamomile. The Spaniards call it ‘Manzanilla,’ which signifies ‘a little apple,’ and give the same name to one of their lightest sherries, flavoured with this plant. When walked on, its strong, fragrant scent will often reveal its presence before it is seen. For this reason it was employed as one of the aromatic strewing herbs in the Middle Ages, and used often to be purposely planted in green walks in gardens. Indeed walking over the plant seems specially beneficial to it. The aromatic fragrance gives no hint of its bitterness of taste. —Parts Used Medicinally—The whole plant is odoriferous and of value, but the quality is chiefly centred in the flower-heads or capitula, the part employed medicinally, the herb itself being used in the manufacture of herb beers. Both single and double flowers are used in medicine. It is considered that the curative properties of the single, wild Chamomile are the more powerful, as the chief medical virtue of the plant lies in the central disk of yellow florets, and in the cultivated double form the white florets of the ray are multiplied, while the yellow centre diminishes. The powerful alkali contained to so much greater extent in the single flowers is, however, liable to destroy the coating of the stomach and bowels, and it is doubtless for this reason that the British Pharmacopceia directs that the ‘official’ dried Chamomile flowers shall be those of the double, cultivated variety. The double-flowered form was already well known in the sixteenth century. It was introduced into Germany from Spain about the close of the Middle Ages. Chamomile was largely cultivated before the war in Belgium, France and Saxony and also in England, chiefly in the famous herbgrowing district of Mitcham. English flowerheads are considered the most valuable for distillation of the oil, and during the war the price of English and foreign Chamomile reached an exorbitant figure. The ‘Scotch Chamomile’ of commerce is the Single or Wild Chamomile, the yellow tubular florets in the centre of the head being surrounded by a variable number of white, ligulate or strap-shaped ray florets. The ‘English Chamomile’ is the double form, with all or nearly all the florets white and ligulate. In both forms the disk or receptacle is solid and conical, densely covered with chaffy scales, and both varieties, but especially the single, have a strong aromatic odour and a very bitter taste. —Cultivation and Preparation for Market—Chamomile requires a sunny situation. The single variety, being the wild type, flourishes in a rather dry, sandy soil, the conditions of its natural habits on wild, open common-land, but the double-flowered Chamomile needs a richer soil and gives the heaviest crop of blooms in moist, stiffish black loam. Propagation may be effected by seed, sown thinly in May in the open and transplanting when the seedlings are large enough to permanent quarters, but this is not to be recommended, as it gives a large proportion of single-flowered plants, which, as stated above, do not now rank for pharmaceutical purposes as high as the double-flowered variety, though formerly they were considered more valuable. The usual manner of increasing stock to ensure the double-flowers is from ‘sets,’ or runners of the old plants. Each plant normally produces from twelve to fourteen sets, but may sometimes give as many as from twenty-five to fifty. The old plants are divided up into their sets in March and a new plantation formed in well-manured soil, in rows 2 1/2 feet apart, with a distance of 18 inches between the plants. Tread the small plants in firmly, it will not hurt them, but make them root better. Keep them clean during the summer by hand-weeding, as hoeing is apt to destroy such little plants. They will require no further attention till the flowers are expanded and the somewhat tedious process of picking commences. In autumn, the sets may be more readily rooted by placing a ring of good light soil about 2 or 3 inches from the centre of the old plant and pressing it down slightly. —Chemical Constituents—The active principles are a volatile oil, of a pale bluecolour (becoming yellow by keeping), a little Anthemic acid (the bitter principle), tannic acid and a glucoside. The volatile oil is yielded by distillation, but is lost in the preparation of the extract. Boiling also dissipates the oil. —Medicinal Action and Uses—Tonic, achic, anodyne and antispasmodic. The official preparations are a decoction, an infusion, the extract and the oil. The infusion, made from 1 OZ. of the flowers to 1 pint of boiling water and taken in doses of a tablespoonful to a wineglass, known popularly as Chamomile Tea, is an old-fashioned but extremely efficacious remedy for hysterical and nervous affections in women and is used also as an emmenagogue. It has a wonderfully soothing, sedative and absolutely harmless effect. It is considered a preventive and the sole certain remedy for nightmare. It will cut short an attack of delirium tremens in the early stage. It has sometimes been employed in intermittent fevers. Combined with ginger and alkalies, the cold infusion (made with 1/2 oz. of flowers to 1 pint of water) proves an excellent stomachic in cases of ordinary indigestion, such as flatulent colic, heartburn, loss of appetite, sluggish state of the intestinal canal, and also in gout and periodic headache, and is an appetizing tonic, especially for aged persons, taken an hour or more before a principal meal. A strong, warm infusion is a useful emetic. A concentrated infusion, made eight times as strong as the ordinary infusion, is made from the powdered flowers with oil of chamomile and alcohol and given as a stomachic in doses of 1/2 to 2 drachms, three times daily. An official tincture is employed to correct summer diarrhoea in children. Chamomile is used with purgatives to prevent griping, carminative pills being made from the essential essence of the flowers. The extract, in doses of 10 to 15 grains, combined with myrrh and preparations of iron, also affords a powerful and convenient tonic in the form of a pill. The fluid extract of flowers is taken in doses of from 1/2 to 1 drachm; the oil, B.P. dose, 1/2 to 3 drops. Apart from their employment internally, Chamomile flowers are also extensively used by themselves, or combined with an equal quantity of crushed poppy-heads, as a poultice and fomentation for external swelling, inflammatory pain or congested neuralgia, and will relieve where other remedies have failed, proving invaluable for reducing swellings of the face caused through abscesses. Bags may be loosely stuffed withflowers and steeped well in boiling water before being applied as a fomentation. The antiseptic powers of Chamomile are stated to be 120 times stronger than sea-water. A decoction of Chamomile flowers and poppyheads is used hot as fomentation to abscesses – 10 parts of Chamomile flowers to 5 of poppy capsules, to 100 of distilled water. The whole herb is used chiefly for making herb beers, but also for a lotion, for external application in toothache, earache, neuralgia, etc. One ounce of the dried herb is infused in 1 pint of boiling water and allowed to cool. The herb has also been employed in hot fomentations in cases of local and intestinal inflammation. The dried flowers of A. nobilis are used for blond dyeing, and a variety of Chamomile known as Lemon Chamomile yields a very fine essential oil. Posted on December 4, 2012 by ladyoftheabyssPosted in Daily Posts, HerbsTagged Anthemis, Anthemis nobilis, Asteraceae, Chamomile, Flower, Head (botany), Herb, Middle Ages. To grow: Evergreen shrub, herb. Rugged and picturesque, grows 2-6 ft high. Leaves are narrow, aromatic, glossy, and dark green above, grayish white below. Flowers grow in small clusters and are lavender blue, 1/4-1/2 inch. They bloom in winter and spring, and occasionally in the fall. It endures hot sun and poor soil. You must have good drainage for this plant. Once established, water it sparingly in the desert. In other areas the plant needs little or no water. Control growth by pinching tips when plants are small and by pruning older plants lightly. Uses: Rosemary is a circulatory and Nervine stimulant. Can be used for headaches, dyspepsia, or depression associated with debility. It can be used to ease muscular pain, sciatica, and neuralgia externally. It’s oil may be used on hair follicles for premature baldness. Parts used: Leaves and twigs. Gather the leaves throughout the summer. The best time to collect them is during their flowering time. Infusion: Pour 1 cup of boiling water over 1-2 tsp. of the dried herb and leave to infuse in a covered container for 10-15 minutes. Drink three times a day. Posted on November 24, 2012 by ladyoftheabyssPosted in ArticlesTagged Flower, Green, Herb, Home and Garden, Plant, Rosemary, Shopping, Tincture.